Employee scheduling software automates the process of creating, maintaining, and tracking employee schedules. Implementing an employee scheduling software system helps with productivity and team collaboration, allowing for greater visibility into bandwidth company-wide. These systems typically track vacations, sick days, and other personal days. Some employee scheduling software also have features such as automatic alerts to prevent scheduling conflicts. Scheduling data is accumulated over time within this type of software, and can be pulled into financial systems like payroll software. Employee scheduling software also features some form of analytics that help manage and coordinate the tasks. Employee scheduling software is not as robust as workforce management software, which typically fit into a larger HR management suite or core HR software solution. These systems are often utilized in retail and other industries for scheduling employee shifts. Employee Scheduling reviews by real, verified users. Find unbiased ratings on user satisfaction, features, and price based on the most reviews available anywhere. Branch Messenger is a mobile-first employee self-service platform that empowers hourly shift workers to manage their work lives in real-time and enterprises to instantly address staffing and operational needs at scale. Hourly employees use the platform to coordinate schedule changes, request time off, view their pay, and receive real-time operational updates. Enterprises use Branch to tap into an elastic workforce that they can scale up or down based on demand, communicate with frontline workers across their network locations directly, and gain insights into shift worker performance. Branch Messenger is currently adopted by enterprises in retail, restaurants, hospitality, transportation, banking and call centers industries. It is available on mobile, web, and an onsite tablet. 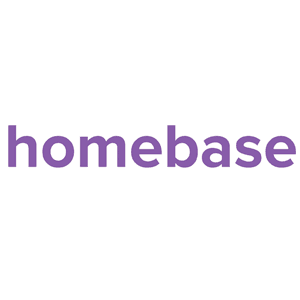 Homebase is a software for tracking hours & schedule for local businesses and employees. WhenToWork is an online employee scheduling platform. HotSchedules is a global mobile solutions company providing innovative technology for the restaurant, retail and hospitality industries. Shiftboard is the leading provider of workforce scheduling software. Shiftboard optimizes scheduling to reduce labor costs and ensure compliance, enables real-time worker communication to better engage workers so there are fewer missed shifts, and better labor forecasting to ensure you create the best schedule to meet your business needs. Thousands of organizations choose Shiftboard to help lower labor costs, increase worker productivity, and decrease employee turnover. Crew is a free messaging app that combines an intuitive calendar and a fast messaging system into one simple-to-use app. Sling is a shift scheduling and communication software that shifts, messages, newsfeeds and tasks to help managers organize all aspects of their work on a single platform. Employee scheduling software cuts scheduling time, reduces overtime, better utilizes staff. Enterprise visibility. Easily engage and manage non-desk employees with a true all-in-one mobile app. Connecteam boasts of a powerful, mobile-first platform that non-desk employees need in order to improve communication, enhance daily processes and save time. Connecteam is trusted by over 8,000 companies and is used by more than 100,000 employees worldwide. Starts at just 29$/month for up to 200 users! Schedule jobs and track time with Connecteam. Scheduling includes advanced capabilities like dispatch with drag & drop, private or team shifts, upload shifts via excel and much more to make your scheduling experience fast, easy and productive. Enjoy the only true shift collaboration with GPS status updates, notes and integrated chat. A few of our features include the following listed below, each one takes your business to the next level. Sign up now and start your free 21-day trial. Employee Communication App: Connecteam’s employee communication app was designed and built as a business communication app especially for non-desk employees. The app is packed with tools that will enhance every mean of communication in your business. Our live chat can support groups, channels and special settings options. We all know that communication is more than a live conversation, that’s why our app allows the ability to send immediate updates, social posts for employees to engage each other, surveys for internal feedback in any matter, a built in employee directory and much more. What makes Connecteam’s employee communication app highly beneficial for managers is the ability to always know who received, read or complied with any action performed in the mobile app with a powerful dashboard. Employee Time Clock: Features a GPS time clock that can be accessed from any mobile device. Use the app to track time spent on work hours, jobs or projects. It's easy to use and requires no training, so you can start using your very own employee time clock app for multiple employees within minutes. The app helps with monitoring regular hours, double hours and overtime, which all can be highly customized to fit your business’ needs. Plus it can also help with mileage read, equipment usage or any other information necessary to issue with payrolls. It has an integrated in-app chat and easy to use timesheets, which makes payroll process faster than ever before. Employee Scheduling: An easy way to schedule shifts and dispatch jobs for remote and non-desk employees. Ranked as one of the best employee scheduling apps, Connecteam offers unique tools that make its online employee scheduling capabilities very unique, such as integrated in-app chat and true shift collaboration that includes status updates and notes for every shift. With this unique approach to online employee scheduling, you will not only save valuable time and keep everyone on the same page, but also add more value to your employees with our employee scheduling app by adding important information like job location, detailed notes and file attachments. Checklists & Forms: This is an amazing tool for every business that wish to take compliance and procedures to the next level. We make it easy to create a highly customized, mobile-first work checklist app that can be used from anywhere at anytime. Simply choose from one of our templates, or create your own checklist, form or report. Our checklist app allows you to modify your entire work process like no other, all with an easy to use interface for admins, multiple options and customizations, built-in automations and various tools such as chat, libraries and documents that will take your employee checklist app to the next level. Employee Training & Knowledge Base: It’s easy to use, powerful and extremely flexible for online employee training. It will make your online employee training for remote employees a no-brainer, as we offer an easy to use employee training software that can be used with your current documents, media and web-services. What truly makes our employee training software powerful when having non-desk employees, is the ability to view current completion status and with actionable data reach out to employees at anytime, wherever they are, with a unique and user friendly online employee training experience. No training is needed so on-boarding your deskless team will be an easy task. It can also help with a mobile app knowledge base, live group discussions and employee feedback before, after and while having the online employee training. If you want to keep your employees professional and skilled with an easy to use employee training software for online employee training, especially for non-desk teams, you have just found your match. OpenSimSim is a free employee scheduling solution for restaurants, hospitality, retail, or any other business looking to schedule and communicate with their hourly employees. Quartz is a richly featured, open source job scheduling library that can be integrated within virtually any Java application - from the smallest stand-alone application to the largest e-commerce system. Resource Scheduling Software for Teams and Businesses - Helping you reduce costs and increase productivity by getting more done with less. Schedule all your resources, quickly and easily, in any location, on any device, with our drag and drop resource scheduling software. Skills matching and double booking prevention guarantees the best resources for each booked activity. Now with messages, unlimited email alerts and SMS reminders ensuring all scheduled resources are informed. Sync with external calendars like Outlook, Google Calendar and Apple iCal. ShedWool is an easy to use employee scheduling solution. With free mobile apps, amazing customer support, and an intuitive interface we're sure to save you time and money so you can focus on growing your business. Other enhancements include messaging, shift notes, shift swaps, time off requests, overtime alerts, file sharing and more. ShedWool is also integrated with Google Calendar, Amazon Alexa and Google Voice. Visit out site today to learn more! 247Shift makes it easy for you to plan and manage your staff shift rosters. cDs Online is a solution to run the agency. It is a booking database management and reporting system all in one. Accessible online, it is the answer to your daily workflow challenges when it comes to scheduling, activity management, invoicing, reporting, image and video delivery. Findmyshift is a tool that create staff rotas, manage shift requests, track labour costs and communicate with staff. Floown Planner is a scheduling software for teams. It keeps team's scheduling needs in one place, giving everyone access to shared planning boards where all events are organized. eCore Software's ePro Scheduler is an accessible web-based tool that combines schedule management, time and attendance payroll control, document management, certification tracking, messaging, and other tools. Pastel is a client dashboard for Harvest and Toggl. Shift Agent is a shift management and employee scheduling tool. Vacation requests, time off, schedule tracking, and real-time updates are provided. Models can be created to compare and analyze business profit based on schedule. ShiftNote Scheduler is a web-based employee-scheduling program that makes it easy for management to create and publish weekly schedules and for employees to post availability and release or pick up shifts. Text and email alerts keep everyone posted regarding schedule changes. Time Clock Hub is The Best Employee Time Clock with Easy Online Scheduling & Payroll Reporting. TixTime is an employee scheduling and workforce management softwarethat manages schedules, time and attendance for contact centers. ABC Roster is a free software application for employee shift scheduling. AllocateHQ is a simple, resource management software tool used for scheduling people and events. Allpro SchedulePro automates the time consuming process of maintaining your company's schedule, customers, and managing your tasks. BeyondPay's cloud-based Human Capital Management (HCM) software gives you a virtual employee lifecycle for an effecient and engaged workforce. Organizations can hire, manage, review and retire their workforce, all on a single sign-on solution.The system can be built out modularly, which includes Payroll & Tax Filing, Time and Labor Management, ACA Management, Talent Acquisition, Core HR, Performance Management, Compensation Management, and Scheduling - or can be implemented for its full suite for the simplest and most efficient management solution available. All modules include the sleek Mobile App with built-in geo-fence location and the ability to conduct open enrollment from the palm of your hand. Although the BeyondPay solution model is employee self-service (ESS), our unparalleled dedicated implementations and customer service lets management handle any question, law change, software update or employee inquiry stress-free. BizScheduler is an online schedule, crm and billing solution that provides tools to help you manage your customer relationships, productivity and profitability. The Bullet Staff Scheduler (BSS) consists of an optimized distribution and management system, which automatically allocates the employees to working schedules. Free shift planning and employee scheduling software to help you make rosters, manage shifts, predict labor costs and communicate with your team. FREE for businesses with up to 100 employees. Captureit supports hardware and software-based clocking options that are reliable, accurate and cost effective. Various clocking options and link to payroll allow for users to customize to their needs. CareWare is a fully integrated workforce management solution. Ceequel Time and Attendance system is just one of the human resource management modules available from ELF Time and Attendance. All the modules utilise the power of the Microsoft SQL database, meaning that they can be fully integrated into existing systems, ensuring that a true client-server solution is delivered. ClickSchedule is a dispatching and scheduling software. Within a matter of minutes you'll have your first schedule up, running, and schedules sent out to each staff member's inbox. Creating team schedules - can be so easy! Why Use Employee Scheduling Software? Who Uses Employee Scheduling Software? Employee scheduling software helps business owners, managers, and HR personnel manage employee schedules. This software helps automate and streamline the process of creating and tracking employee schedules. They also provide communication features that enable real-time communication across a variety of devices including iPhones, Android devices, tablets, and computers. Text messages, push notifications, and emails keep both managers and employees up to date on all working employee schedules. Features of employee scheduling software often include automatic shift assignments and notifications for new and altered employee schedules. Additional features may include time clock options, timecard creation, and payroll integrations. Managing administration tasks requires a lot of human capital, and what better way to cut costs and free up personnel than to automate the necessary, yet potentially complicated, employee management tasks? Employee scheduling software provides businesses with easy-to-use administration solutions to streamline hourly worker schedule management. Managing the schedules of hourly employees requires balancing a lot of scheduling changes, no-shows, and hard-to-schedule shifts, to name a few. Plan, track, and manage schedules — Employee scheduling software helps businesses, management, and HR personnel streamline employee scheduling processes including creating schedules, tracking time, and communicating with employees. Industry-specific features — Some employee scheduling solutions cater to specific industries, providing solutions catered to specific types of businesses and their demands such as retail, hospitality, or manufacturing. Eliminate staffing conflicts — Employee engagement solutions eliminate conflicts in schedules that might be created by human error. Common issues that occur include double-booking employees and only scheduling employees that are available to work. Though employee scheduling solutions can be used by any business, they are typically employed by organizations that rely on hourly and part-time employees in industries such as hospitality, manufacturing, fast food, medical, call centers, and retail, to name a few. Small businesses in some industries, such as retail or hospitality, often deal with issues such as high turnover rates and part-time employees. Employee scheduling solutions streamline the process of creating employee schedules regardless of business needs. Meanwhile, organizations in other sectors have experienced an increase in the need to schedule highly skilled and diverse workforces, particularly with the increase in remote and contract employees. Ultimately, employee scheduling software is great for businesses of all sizes looking to streamline and automate employee scheduling. Employee scheduling software provides dynamic and static scheduling and can be cloud based or implemented on premise. Dynamic scheduling — Dynamic employee scheduling provides solutions for shifts that are always in flux. This type of employee scheduling software provides solutions for industries in which shifts, clients, and locations vary. Dynamic employee scheduling software helps maintain employee schedules while accounting for a variety of shifts and locations. Static scheduling — Static employee scheduling software provides solutions for companies with fixed shifts. This type of employee scheduling software provides solutions for industries in which employees rotate across two or more predefined shifts that occur at the same location(s). Cloud-based hosting — Cloud-based employee scheduling software provide businesses with solutions that can be accessed from any device and any location. Installation does not occur on site; data does not need to be backed up manually. This type of software is often purchased on a monthly or annual basis and is typically dependent on the number of users, employees, or teams. On-premise hosting — On-premise employee scheduling software is installed on the business’ server. A private network is required to maintain the software, and installation, management, upgrades, and support are often required. Free employee scheduling software — Free employee scheduling software might not provide all of the bells and whistles of a paid version, but it is guaranteed to streamline and automate the process of employee scheduling. Employee schedule overview — Employee schedule overview provides a transparent view of all weekly, biweekly, monthly, and non-repeating shifts. Managers can filter to view shifts based on specific criteria such as employee availability, shifts, locations, and time. This feature provides management with complete transparency into all shifts that are scheduled, filled, open, or incomplete. Schedule templates — Schedule templates provide a quick and easy-to-use solution to scheduling employees for repeating shifts. These can often be created once and saved for reuse, thereby reducing the time necessary for creating repeating schedules. Communication — Employee scheduling software connects management and employees via communication features such as emails, instant messaging, or mobile applications. These solutions facilitate real-time communication, providing clarity into every schedule created and updated, as well as all employee availability changes or updates. Shift swapping — With shift swapping features, employees can feel empowered to grab any available shifts or trade with their coworkers when they are sick or otherwise unable to make a shift. Automate shift assignments — Employee scheduling software often provide managers with the option to automate shift assignments to match available employees with open shifts. Managing leave — Employee scheduling software provides managers with the tools to manage staff vacation and leave requests and to cover last-minute absences. Employee profiles — Employee profiles store pertinent information regarding each employee such as contact information, availability, licenses and certifications, employment history, and education, to name a few. Compliance — Employee scheduling software helps businesses maintain compliance regarding overtime rules when creating schedules. Reporting and analytics — Employee scheduling solutions provide insight into schedule and time clock data, labor costs, and financial reports, to name a few. They help businesses quantify KPIs to better measure performance. Labor forecasting — Employee scheduling solutions use historical employee scheduling data to predict scheduling needs. This feature anticipates demand and labor costs to accurately project employee scheduling needs. Integrations — Employee scheduling software often integrates with payroll software or core HR software to centralize and optimize time and pay operations. Free employee schedule software — Free employee scheduling software might be as simple as a Word doc and require a manager to organize employees, contact information, and availability. Features of more advanced free employee scheduling software might include employee availability, time-off requests, and communication tools . Employee scheduling software keeps evolving with technological improvements, advances in data science, and the ever-expanding needs and habits of employees. These solutions continue to improve methods of communication, employee self-service, forecasting, and customization, to name a few. Improved communication — Employee scheduling software provides an open line of communication between management and employees. This provides the means for immediate contact between management and employees from any location and at any time. Self service — Employee scheduling software provides employers with online and mobile access to their schedules. This feature provides them with the ability to request to work open shifts, trade shifts, or request vacation days off from any device or location. Schedule forecasting — Forecasting improves the entire process of creating schedules based on historical data. As these forecasting methods improve, businesses will be able to make sure they have enough help without overstaffing any shift, especially as it relates to shifts in spending, around the holiday season for example. Customization — Employee scheduling software can be customized to meet the individual needs of every business. Some businesses might need to schedule according to skills vs availability. Excessive overtime — If protections are not put on employee overtime use, companies might encounter a surge of overtime work amongst some employees. If overtime is not an issue, or permitted without concern for a decrease in productivity or business costs, then overtime allowance is not an issue. If companies are concerned about employees working too much overtime, they should make sure that the employee scheduling solution provides safeguards against excessive overtime use. Shift swapping — Some employees will enjoy the freedom of managing their own schedules and having the ability to swap shifts when applicable. Other employees might forget about shifts swapped or might swap shifts that they are technically not qualified to work, resulting in reduced productivity. Last-minute scheduling — Although the forecasting features in employee scheduling software should ease the process of schedule creation, managers should not wait until the last minute to plan shift schedules. Employers, managers, and employees alike will all benefit from a clear schedule that is made on time, and any last minute changes will be much more manageable than creating a schedule on the fly. Shift confusion— Although employee scheduling software streamlines the entire process, managers should maintain an eye on all schedules, making sure there are no last-minute issues or conflicts due to schedule swapping or last-minute changes. Just because the software provides a channel of constant communication doesn’t mean that managers should assume employees will not make an error when swapping shifts or covering for another coworker. Free employee scheduling — Most free employee scheduling options are basic documents or sheets that allow users to format cells, columns, and rows. This requires more care, attention, and oversight than some of the employee scheduling solutions that provide automation and management for a price. Managers and users alike will have to be more careful in verifying that all information is correct to avoid mishaps in the schedule. Core HR Software — Core HR, otherwise known as human resource information systems (HRIS), can integrate with employee scheduling software to transfer employee profile information. This might include availability, contact information, licenses and certifications, employment history, and education to name a few. Time Tracking Software — Employee scheduling solutions can work in concert with time tracking software to track, report, and calculate time spent on tasks, projects, and other work-related activities. These solutions export data into invoicing tools and often integrate with accounting or payroll software. Payroll Software — Employee scheduling software provides payroll integrations to streamline the process of calculating employee pay information. Payroll software ensures that employees are paid timely and accurately based on the employee schedules created and time worked. Workforce Management Software — When employers are looking to optimize their workforce efforts, they can use workforce management software in lieu of or in addition to employee scheduling solutions. Restaurant Management Software — When employee scheduling solutions cater to specific industries, such as restaurants, they can often be found in our restaurant management software category. Hi there! Can I help you find the best Employee Scheduling solutions?